"No film can equal the narrative attack of 'ROOM 502'. Brilliant storytelling... Spellbinding entertainment from a truly gifted American writer!" 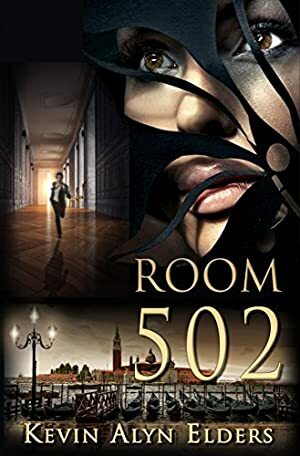 ROOM 502 is the first in a series of Screen Novels written by a veteran Hollywood screenwriter for the Cineplex inside your head -- Imagined as movies, written as books, Screen Novels will captivate you from the very first page and keep you riveted until the end. JACK SANDS - a magnetic, world-renowned investigator of stolen Art, is staying in Room 502, his favorite room in a legendary Venetian hotel, to contemplate the end of his broken marriage. Jack lingers well past his check out time to watch the sunset when he's startled by a beautiful Italian heiress checking into the same room. She invites him to stay for a drink, Room 502 works its magic, and they find themselves entwined in an electric whirlwind of sensual passion that leaves them both hungry for more. As Jack leaves to settle things with his wife, he vows to return in two days and when he does, the macabre, twisted nightmare that awaits him in that room will shatter his life forever. Confronted with a body on fire on 502's terrace and the unfathomable disappearance of the heiress, Jack is thrust headlong into the haunting netherworld that is Venice during Carnival time, where masks, madness and erotica conceal a secret so unthinkable, the entire city seems willing to kill him before he can reveal it. It hasn't. Be the first to tag this book! Track It. This book has been $7.99 within the past 90 days. Don't update anything. Let me know first. Reset all existing tracking information. Log In to track this book on eReaderIQ. Log In to track Kevin Alyn Elders on eReaderIQ. to be notified each time the price drops on any book by Kevin Alyn Elders. to stop tracking Kevin Alyn Elders. We started tracking this book on November 1, 2018. This book was $0.00 when we started tracking it. The price of this book has changed 8 times in the past 170 days. The current price of this book is $9.99 last checked one day ago. This lowest price this book has been offered at in the past 90 days is $7.99. The lowest price to date was FREE last reached on January 13, 2019. This book has been FREE 4 times since we started tracking it. The highest price to date was $9.99 last reached on January 30, 2019. This book has been $9.99 one time since we started tracking it. This book is currently at its highest price since we started tracking it. We last verified the price of this book about one day ago. At that time, the price was $9.99. This price is subject to change. The price displayed on the Amazon.com website at the time of purchase is the price you will pay for this book. Please confirm the price before making any purchases.